“Green-Schools” is the Irish Branch of an international environmental education programme known as eco-schools. It is designed to raise children’s awareness of environmental and sustainable development issues through classroom study. Eco-Schools is run by the Foundation for Environmental Education, an organisation founded in 1981 to raise awareness of environmental issues and effect change through education. 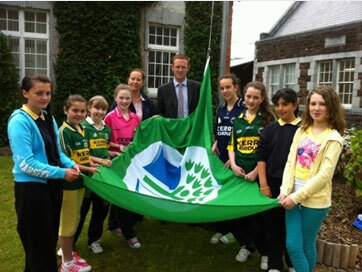 Green Schools is run by An Taisce in conjunction with the local authorities. The scheme helps to take environmental issues from the curriculum and apply them to the day-to-day running of the school. This process helps students to recognise the importance of environmental issues and take them more seriously in their personal and home lives. 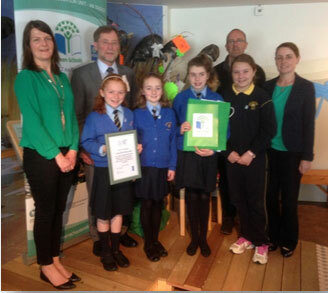 Sacred Heart Primary School has been involved in the Green Schools initiative for the past 10 years. Our first project involved addressing the issue of litter and waste. We then examined energy use in the school and followed this with a project on water conservation. In our fourth project we focussed on transport and ways of reducing the level of traffic in our town, while our fifth project looked at Biodiversity. We are currently working on our sixth project, Global Citizenship – Litter and Waste. The Eco-Schools Green Flag, which is awarded to schools that have shown high achievement in their individual programmes, is hoisted each morning to signify our status as a Green School.